Plans were approved in August this year to expand the elephant enclosure at Auckland Zoo to six times its current area. The importation of another 9 elephants to join the current sole occupant, Burma, would make this the only elephant herd in Australasia. The planned extension into Western Springs Park is estimated (by many accounts, unrealistically) to cost $13 million and the zoo plans to expand into 22000 square metres of the park. Two main arguments have been made for this. 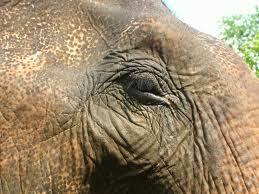 First, that Burma is in need of companions as elephants are intelligent, empathic, social animals and she has only recently lost her companion, Kashin. Second, that the herd will be valuable for conservation. Given a choice between sending one animal to a reserve overseas or committing to the hugely-expensive upkeep of ten elephants, the City has chosen the latter. This goes against international trends to close elephant enclosures. As pointed out in SAFE’s excellent submission to the Auckland City Council Combined Committees, enclosures closed this decade include London (2002), San Francisco (2005), Detroit (2005), Lincoln Park, Chicago (2005), Alaska (2007), and Philadelphia (2009). A significant number of zoos have also committed to gradually phasing out their herds by not replacing elephants. The National Animal Welfare Advisory Committee’s Animal Welfare (Zoos) Code 2005, provides that ‘the behavioural and social needs of the animal, including any instinctive behaviours (e.g. arboreal or nocturnal), requirements for space (e.g. maintaining a territory), and opportunities to interact with the environment (e.g. enrichment), other species, and humans (e.g. keepers and the public)’ (p4) are to be taken into account. But it is inescapably true that being kept in any artificial enclosure is physically and psychologically damaging to elephants which are highly intelligent, have complex social systems and range over huge distances, spending most of their days walking. In the SAFE submission, a telling comparison is made between the median ranging area for an adult male elephant (246.3 square kilometres), a group herd (113 square kilometres), and the planned Auckland enclosure (0.024 square kilometres). So, elephants kept in Auckland will be prone to the typical afflictions of captive elephants: obesity, foot and joint problems, and behavioural issues stemming from confinement, lack of mental stimulation and a probably dysfunctional social grouping of randomly-assembled animals. Kashin, the Auckland elephant that was put down in August this year, is a case in point. She had long been suffering terribly from foot abcesses and chronic arthritis, common for elephants living the sedentary life of captivity. She had also developed skin lesions which were not healing. Despite being on pain medication, Kashin still showed signs of being in pain and had become depressed and withdrawn. Reports that she had ‘died’ elided the fact that she was killed – albeit to alleviate her suffering – by her keepers. None of this is exceptional. This is exactly the fate to which any other elephants brought here will be consigned. The conservation argument is also very weak. The 2005 Code specifies that movement of ‘highly social animals out of their familial or social groups, should occur only in exceptional circumstances or where such movement or transfer can be shown to be in the best interests of the species, the individual animal or larger social group to which that animal belongs’ (p11) but Asian elephants are still quite numerous in their native environment and are not considered a species in particular need of the conservation efforts made ostensibly on their behalf. So the circumstances are neither exceptional nor in the interest of the species, individual or larger social group. In fact, zoos in general provide next to no conservation benefit. Animals raised in captivity, particularly ones that are more intelligent and have sophisticated social networks, are completely dependent upon their human handlers and cannot ever be released into their native habitat. What is more, they tend to breed poorly if at all. Dr Wayne Linklater of Victoria University has said that the small herd of 10 elephants is not a viable size for genetic diversity and will lead to inbreeding with resultant birth defects and poor reproductive condition. A similar argument that zoos serve an educative purpose can be answered by asking what is being learned from a quick glimpse at a behaviourally-abnormal animal in a cramped, fenced imitation of its natural habitat often akin to a stage setting? Studies of visitor behaviour ‘indicate that zoo patrons spend between 33 seconds and 3 minutes, on average, at each exhibit.’ These displays are more accurately categorised as entertainment – ‘infotainment’ at best – and appear to be more focused on ticket sales than benefitting either the animals or the public. Elephants are one of the more ‘charismatic’ animals and are a major drawcard for any zoo. Although, after an initial flurry of media-fuelled excitement there is little reason to believe that takings at the gate will remain sustainably high while the substantial expense of keeping elephants will only increase over time. The proposal is now out for Resource Management notification under the Resource Management Act 1991 (RMA). But animal welfare is not included in matters considered appropriate for consideration under the RMA. As made clear earlier this year, the welfare of animals is a consideration for the Minister for Agriculture and Forestry as the minister responsible for the administration of the Animal Welfare Act 1999 (AWA). Even in the exceptional (and unlikely) event of the project being a matter of ‘national significance’ justifying a ministerial call-in under s 141B of the RMA, the convention appears to be that Minister for the Environment is not to consider animal welfare in a review under the RMA. Last week, an open letter signed by twenty of the world’s leading animal experts was sent to the Auckland City Council protesting this decision made under the prior city Council and urging the newly-constituted Council to reconsider. 1 No urban zoo in the world can adequately cater to the needs of elephants. Sound science tells us that elephants are social animals that spend their lives in and around families of closely related individuals, moving across vast areas. Family life cannot be created in a zoo and there is growing evidence that simply placing unrelated elephants together does not simulate natural social life. Urban zoos can neither provide sufficient space for elephants, nor sufficient environmental complexity. 2 Importation is highly expensive and logistically complex. Auckland Zoo could only acquire additional elephants by importing them from overseas. The only sources are existing zoo breeding programs or populations of elephants in the Asian countries in which elephants live naturally. 3 Removing elephants from existing zoo programs will neither assist the sustainability of zoo elephant populations nor assist the welfare of the elephants involved. Existing zoo populations of Asian elephants, internationally, are not self-sustaining because of a combination of insufficient genetic diversity and skewed age structure. 4 Removing elephants from Asian countries is unethical. The recent importation of elephants from Thailand to Australia revealed a range of issues including the current impossibility of proving that imported elephants are actually captive born and not plundered from the wild. 5 The attempted importation of elephants to New Zealand would generate great international controversy. The good name of both the City of Auckland, and of New Zealand as a country, will be damaged. 6 Building for urban elephants is always more expensive than initially estimated. Even attempting to create basic living conditions for a “herd” of elephants in Auckland Zoo will be extremely expensive. The estimate of $NZ13 million is almost certainly an under-estimate. The National Zoo in Washington has recently spent an astonishing $US50 million ($NZ65.85 million) on basic and inadequate facilities for a proposed total of nine elephants. In Australia, the Melbourne Zoo and Sydney’s Taronga Zoo each spent in excess of $A15 million ($19.5 million). 7 Elephants are very expensive to keep. The ongoing maintenance of elephants in urban zoos has been estimated to cost not less than $NZ100,000 per specimen per year, not including the maintenance of facilities and capital depreciation. To maintain a “herd” of 10 elephants, not less than $NZ1 million per annum should be allocated. 8 Urban elephants are NOT a sound investment. It has been demonstrated that elephants in an urban zoo are not a permanent draw-card sustaining high zoo visitation over time. The birth of elephant calves can result in peaks in visitor numbers but over time such attractions fade and in the long-term they are not cost-effective. 9 Elephants do not fit the Auckland City “brand”. Elephants can be readily experienced in many places around the world and their presence in Auckland Zoo would not enhance Auckland or New Zealand as a destination for visitors. We urge you to reconsider the Council’s decision to support the acquisition of Asian elephants by Auckland Zoo. The elephant Burma should be sent to live with other elephants in an open-range zoo or sanctuary. To encourage anyone, a knowledgeable content is required. But if we get, then we can never deviate from our path. Nice information. Really informative.